These dual N-Channel logic level enhancement mode field effect transistors are produced using Fairchild 's proprietary, high cell density, DMOS technology. This very high density process is especially tailored to minimize on-state resistance. 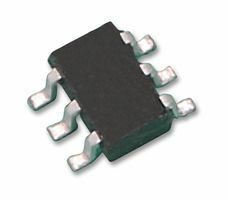 This device has been designed especially for low voltage applications as a replacement for digital transistors. Since bias resistors are not required, these N-Channel FET's can replace several digital transistors, with a variety of bias resistors.